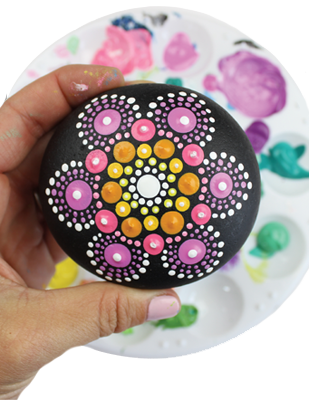 Try this simple tutorial on how to create dot mandalas rock paintings with your kids or friends. When a dot sits alone, it’s simply a dot. But when you combine many dots together, you can create wonderful and intricate art. 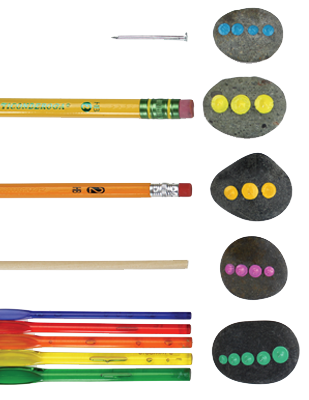 The key to dot rock painting, also known as pointillism, is in the tools you use. There is a variety of tools in all shapes and sizes that can be used for dot painting rock art, and I bet you have a few of them already lying around the house. Below are the tools I suggest for dot paintings. In my book, the Rock Art Handbook, I explain each tool in more detail. 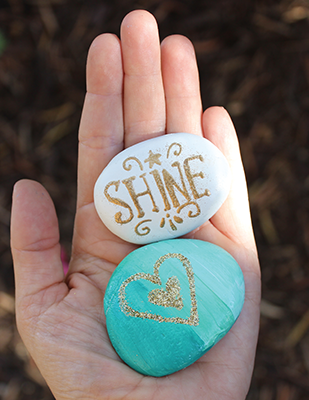 One of the most popular ways to decorate rocks is by using acrylic paint. Think of your rock as a mini art canvas. Start with a rock that has a smooth surface and is not filled with holes. 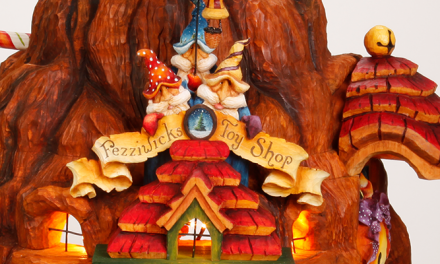 Prep your rock with a black, white, or colored background. For the dots, use thinner paint. If your paint is too thick, just add a little water to thin it out. Stay patient. 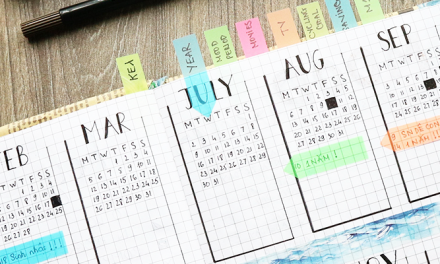 Don’t rush your dots. Use pointed cotton swabs to wipe away mistakes. Dot mandalas are addicting to make once you get started. There’s no exact right or wrong pattern to use. 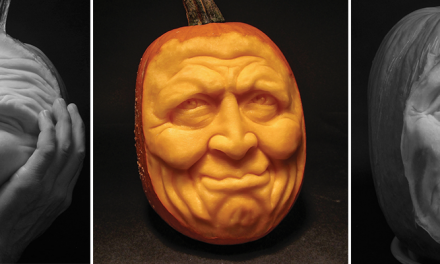 The key is to try and keep things symmetrical even if you are working on a nonsymmetrical rock. 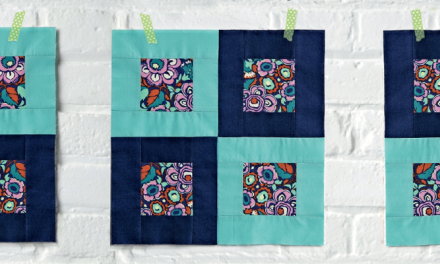 To the right is a basic mandala pattern to get you started. Use this as inspiration, but don’t feel that this is the only way to make mandalas. Experiment with dot placement, patterns, and even where you start your mandala. When creating mandalas, you don’t always have to start exactly at the center of the rock. Play around with starting the center dot in different places. You can also try using smaller dots in a different color placed between larger dots for more variation. Whether you’re an adult or a child, a natural-born artist or unable to draw a stick figure, there’s something for you in the Rock Art Handbook. 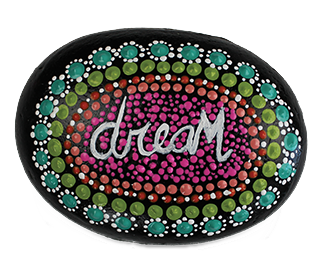 Let go of your art expectations and just enjoy decorating rocks! 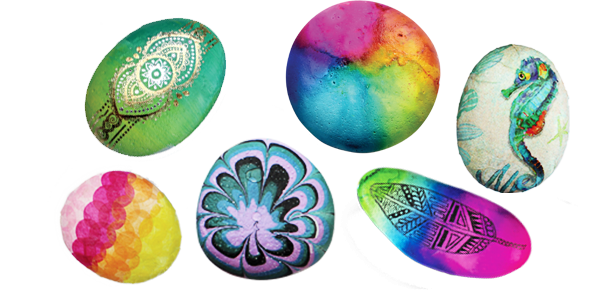 Paint your own kindness rocks, give them as cheerful gifts, or paint rocks for a rainy day kid’s activity! Find pebbles in your own backyard, a nearby beach, or the local gardening center to find the perfect rock. 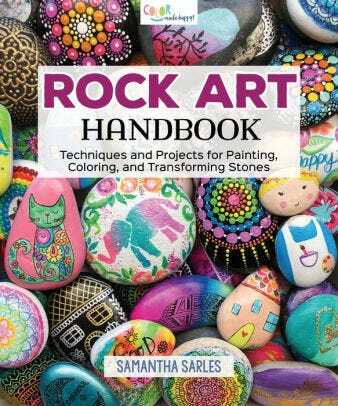 Then with the help of a few colorful craft supplies and the 30 step-by-step rock painting tutorials in Rock Art Handbook, you’ll be on your way. 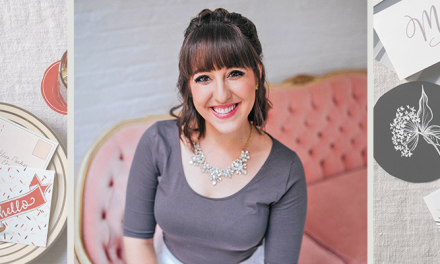 Author Sam Sarles shares her favorite tips and techniques for transforming the humble rock into a work of art. 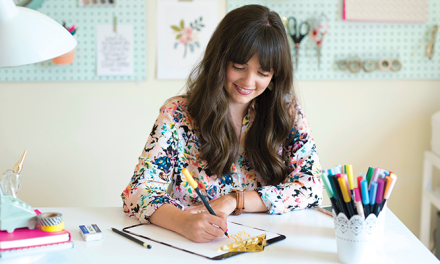 Discover how to get great results with puffy paint, acrylics, oil pastels, alcohol inks, gelatos, art pens, embossing, stamping, and more!